Tyler Fuller faces at least 10 years, but up to life in prison for bank robbery during eclipse. A Madras man, Tyler Wayne Fuller, 29, pleaded guilty Dec. 19, in the Eugene U.S. District Court, to unrelated charges of bank robbery and conspiracy to possess and distribute methamphetamine. The bank robbery occurred at U.S. Bank, in Madras, on Aug. 21, 2017, at 1:58 p.m., just hours after the total solar eclipse, which had drawn an estimated 100,000 people to Madras. Fuller, who was wearing a floppy hat and sunglasses, walked up to a teller and gave her a note saying, "Give me your $ and nobody gets hurt," and then told her not to play games. Another teller noticed the first teller's reaction and pressed her alarm button. After the first teller gave Fuller $517, she also pressed her alarm button as he exited the bank, but because of the congestion on local roads, he was able to escape on foot before police arrived. Three days later, on Aug. 24, 2017, Jefferson County Sheriff's Office deputies, acting on a tip, stopped a sport utility vehicle on Highway 361. Fuller, who was a passenger in the vehicle, which had two other passengers plus the driver, was arrested without incident. U.S. Attorney Frank R. Papagni Jr. said in October 2017 that Fuller has also been indicted on a federal charge of conspiring to possess and distribute methamphetamine with two others — his father, Ronald Wayne Thrasher, 49, of Madras, who was in federal custody in Eugene, and Jason James Puckett, 45, of Prineville, who was in custody in Lakeview. Following an investigation into the trafficking of methamphetamine in Central Oregon, Thrasher was arrested during a traffic stop last year. The Central Oregon Drug Enforcement team served a search warrant at his residence on Northwest Deschutes Drive, and located about 17 pounds of methamphetamine. Because the amount is more than 50 grams, Papagni said that the charge of possessing methamphetamine with the intent of distributing it is subject to a 10-year mandatory minimum sentence up to life in prison, a $4 million fine, and up to six years of post-prison supervision. Fuller admitted that he was a member of a drug distribution conspiracy and that he possessed more than 50 grams of methamphetamine. 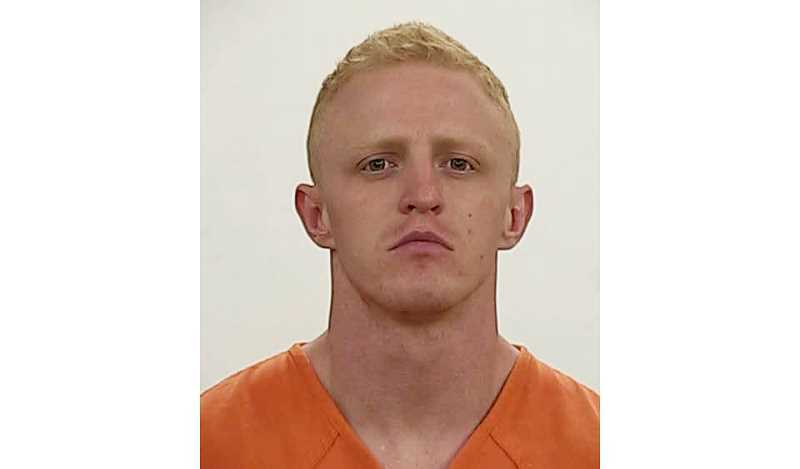 Fuller, who will be sentenced April 8, 2019, before U.S. District Court Judge Michael J. McShane, faces a 10-year mandatory minimum sentence, with a maximum of life in prison, up to a $10 million fine and five years of supervised probation. Fuller has agreed to pay $517 in restitution to the bank. The trial for Thrasher is currently scheduled for Feb. 19, 2019, but could be moved to July 29, 2019. The FBI, the Central Oregon Emergency Response Team, and Madras Police Department investigated the case, which is being prosecuted by Papagni, the assistant U.S. attorney for the District of Oregon.